Nalini Anantharaman speaks about the Infosys Prize she recently won, being born to an Indian immigrant in France, and wanting to be a pianist. Bengaluru: In January, Nalini Anantharaman became the first woman to be awarded an Infosys Prize worth $100,000 (approx. Rs 71 lakh) in the mathematics category. The citation is a mouthful for the lay person — she won the prize for “work related to ‘Quantum Chaos’, specifically for the effective use of entropy in the study of semiclassical limits of eigenstates in quantum analogs of chaotic dynamical systems and for her work on the delocalisation of eigenfunctions on large regular graphs”. But what does that mean? Waves, which could be sound waves, electromagnetic (light) waves, water waves, or waves in quantum mechanics, propagate differently depending on the geometry of their location. In a concert hall, for example, waves will bounce off the walls. But the way they do that depends on the shape of the room and whether it is rectangular or elliptical. Asked how she felt about receiving the Infosys Prize, Anantharaman says: “I’m always a bit embarrassed by awards. I have many colleagues who I think are better than me and haven’t won any awards. Also, achievements in research are often the result of collaborative work. Anantharaman’s father went to France to study mathematics when he was just 22. There, he met her French mother — they were both professors of mathematics at the University of Orléans. Having mathematicians for parents meant that Anantharaman was surrounded by math-related objects and discussions throughout her childhood. At school, she was naturally drawn to science and math, and as a teenager, to biology. “I had a romantic idea that you can cure a disease with research,” she says. She knew she wanted to become a researcher, but wasn’t sure in which subject. Anantharaman completed her PhD at the Université Pierre et Marie Curie in 2000. She has taught at the University of California, Berkeley, the University of Paris-Sud, Orsay, and the Institute for Advanced Study, Princeton. In 2011, Anantharaman won the Grand Prix Jacques Herbrand from the French Academy of Sciences, and the Salem Prize for her work with the Fourier series. 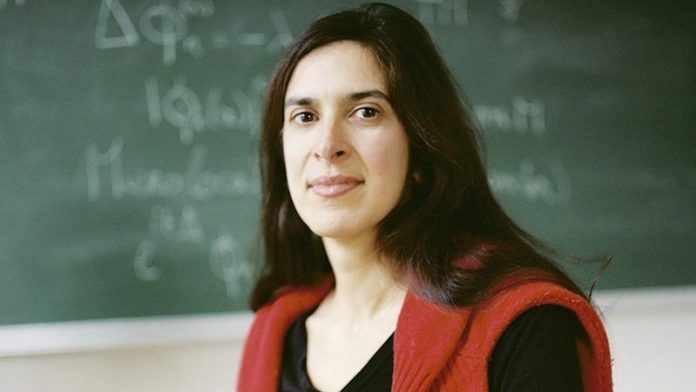 In 2012, she won the Henri Poincaré Prize for mathematical physics. She also plays the piano and, at one point, considered “very seriously” a career in western classical music. Anantharaman is more French than Indian, something she attributes to the culture of immigration when she was born. “When people arrived in the country, they didn’t necessarily speak their native language to their children, something which is very fashionable now. I regret it a little bit that I never learnt Tamil, which is my father’s mother tongue, but I know quite a lot about the Hindu religion and mythology through storytelling,” she says. Anantharaman believes that against conventional perception, mathematics is actually quite tied to humanities and society. She does not believe mathematics is immune to politics, and takes the example of World War II. After the war, the field faced a severe backlash when applied mathematics began being used to develop the nuclear programme. To protest this, a group of mathematicians decided to abstain from applied mathematics research. This decision influenced math globally, especially in India, where a divide formed between applied and pure mathematics and continues to this day. The field is also not immune to the under-representation of women. “At conferences, sometimes I’m the only woman. In France, just about 17 per cent mathematicians are women. There are even fewer in the purer sub-fields, and as you go up the hierarchy. There is now a lot of thinking in France about the reasons for this. I think I’m quite strong in that I just want to be satisfied with my work, let people think what they want to,” she says. “I’ve noticed that among students, girls and boys tend to do exams differently, especially in mathematics. When they know only the partial answer, girls say they don’t know, whereas boys are more likely to invent something. I think in their education, they are more encouraged to bluff. A commonly adopted, workable solution is often having women in positions of power, especially in hiring committees. But this could backfire too. Furthermore, Anantharaman states that the representation of women is influenced heavily by culture too. “Women in India marry early and have children early. Some say professors refused to supervise their PhD because they thought they would have children in the middle of their PhD. This problem does not exist in France,” she says. An earlier version of the report referred to the prize as “Infosys Science Prize”. However, the award is called “Infosys Prize”.